Adolf Hitler and hundreds of his most senior commanders escaped to South America at the end of World War II. 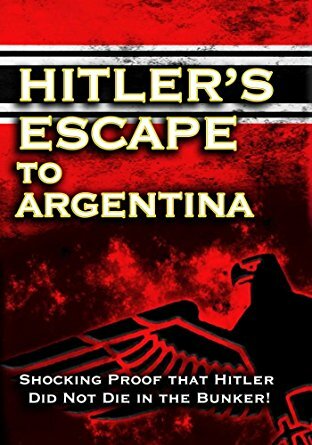 Even more shocking is the proof that the Allied governments knew he was still alive and helped to conceal the truth that he was living in Argentina with his wife, Eva Braun Hitler. Compelling evidence is revealed, based on the best selling book, “Hitler In Argentina” by Harry Cooper, President and Founder of Sharkhunters International. 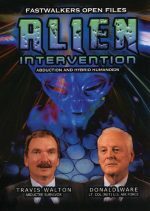 Cooper is the world’s leading authority on the escape of, not only Adolf and Eva, but also Martin Bormann, Josef Mengele, Adolf Eichmann, and many other top ranking Nazi officers including Klaus Barbie, the notorious “Butcher of Lyon”, who was recruited as an agent for the US Army Counter Intelligence Corps. Cooper also tells of the “Black U-Boats” and their covert mission to transport, not only escaping Germans, but billions of dollars in art treasures and gold. 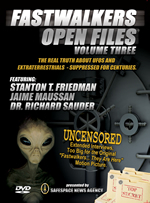 Also revealed is latest information on Germany’s “Wonder Weapons”, the Nazi Bell, Flying Disks, and the shocking history regarding theGerman base in Antarctica. Running time 129 Minutes.